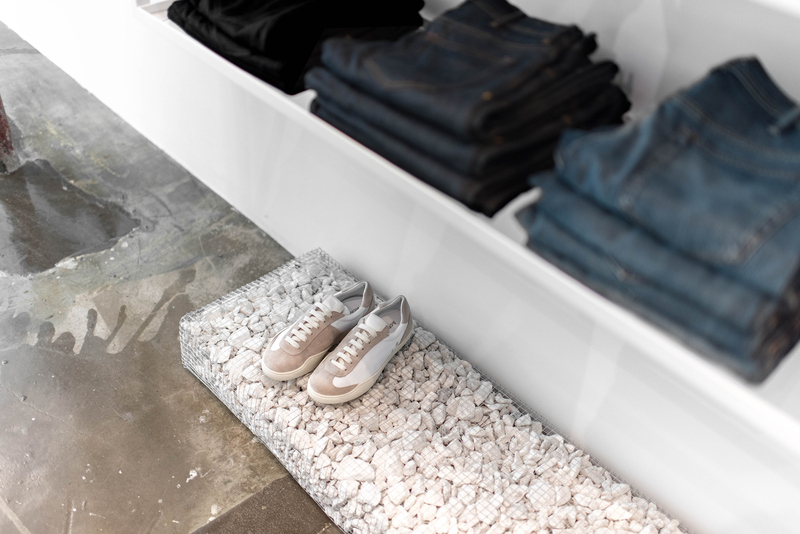 Hathenbruck should feel familiar to some: the clean combination of heritage and Scandinavian minimalism that characterized the first iteration of the store led us to feature its initial Park City location. Now, after mixing up everything from location to brand list, the boutique has carved out a new spot in the 9th & 9th neighborhood from which to offer up their wares. Distinctly evolved from its past location, the most recent rendition of Hathenbruck is wholly invested in the concept of mixing high and low. 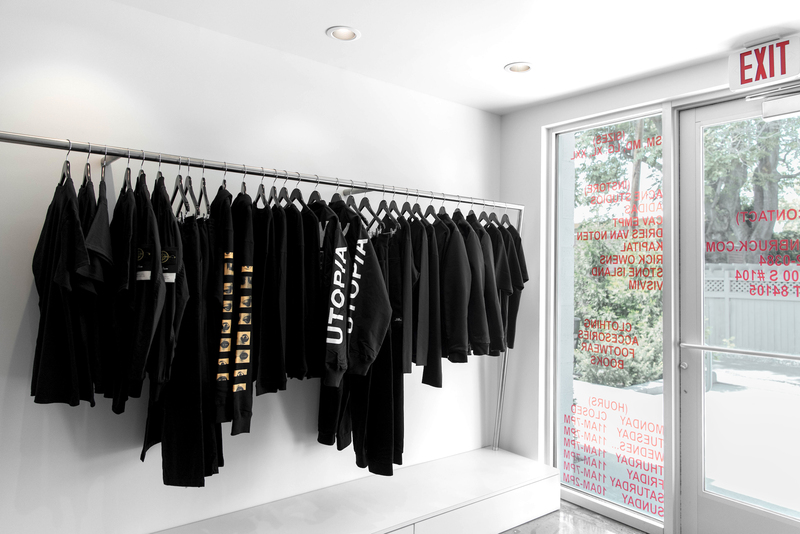 In an effort to ensure it remains accessible to all, the store is stocking garb and gear that ranges from a selection of exalted, hyper-lux designers like Rick Owens to a collection of core Vans staples and more graphic-based brands like Brain Dead and Alltimers. This mix of high and low is indicative of the continued disintegration of the once-rigid distinction between fashion and the skateboarding world, however, it’s also an extension of Hathenbruck’s owner, Caleb Flowers. 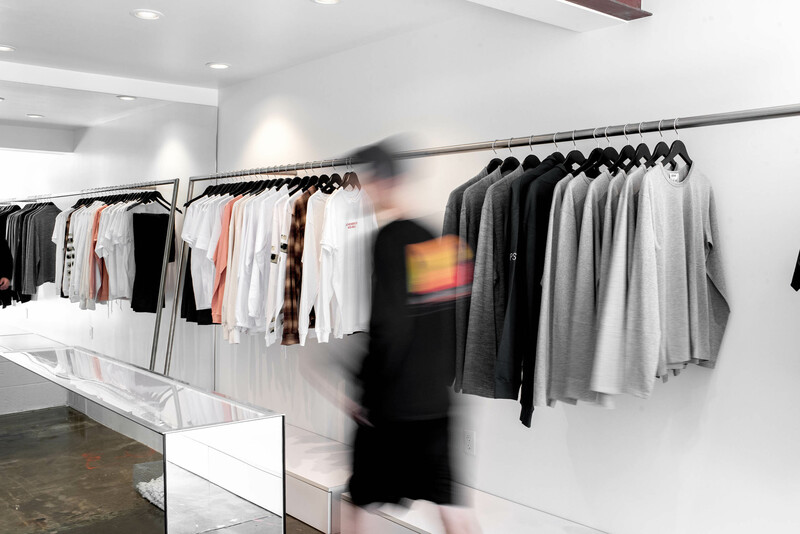 For Caleb, what initially started as an interest in sneakers, streetwear, and skating eventually parlayed itself (thanks largely to the role hip-hop has played in popularizing fashion) into an enthusiasm for higher-end designers, and the combination of these two affinities has become the conceptual cornerstone of the store. 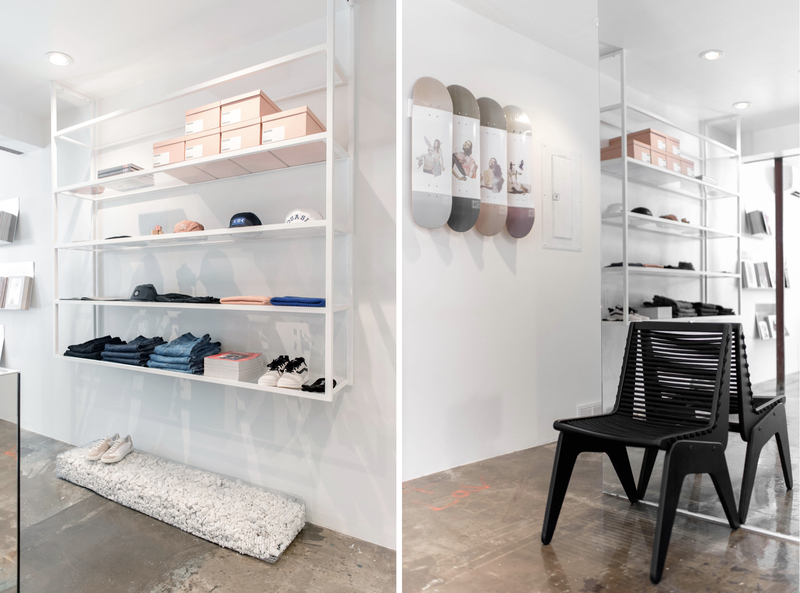 This same philosophy also informs the store’s eponymous, in-house brand, which is consistently putting out pieces that are heavily influenced by Caleb’s life and Hathenbruck’s new home, Salt Lake City. Spatially speaking, the store’s design is a deft manipulation of austerity. 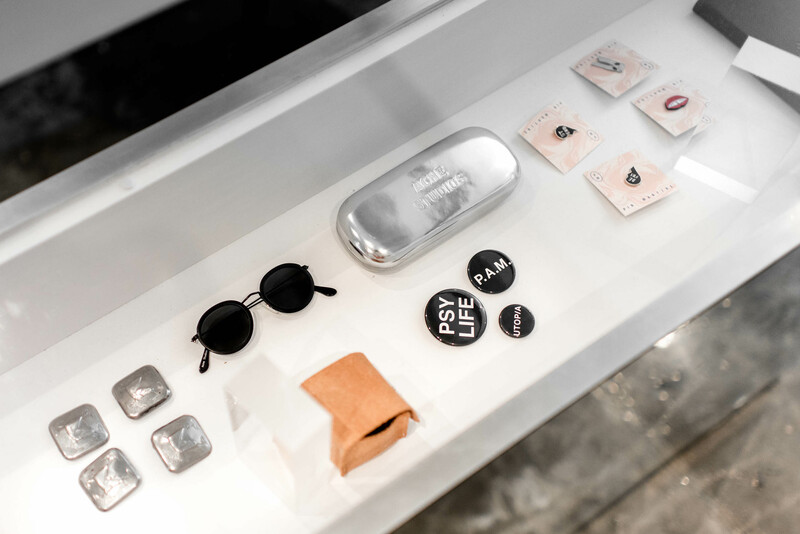 The sculptural, concrete point-of-sale station and the mirrored merch case are unequivocally minimal, however, the stark uniformity of the space is sporadically broken up by everything from millennial-pink Acne Studios beanies to camel Dries Van Noten overcoats. The result is an interior that utilizes its simplicity to highlight the artistry of the products found within. Structure aside, Hathenbruck is offering up a lot more than good design and quality threads. 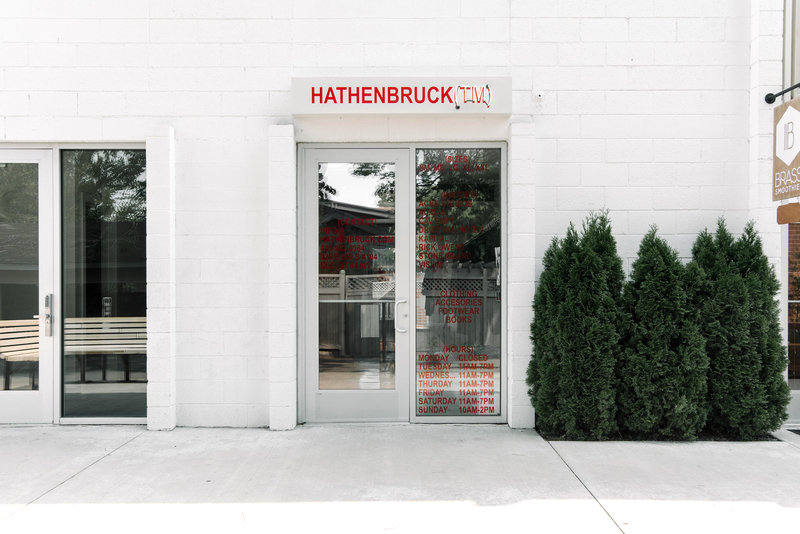 At a time when fashion retail is struggling to reconcile the appeal of convenience with the loss of authenticity that often accompanies scaling beyond a singular store-front, Hathenbruck is emerging as a model for how to leverage the retail spot as a catalyst for community-building. From photographers to fashion-enthusiasts, the store has attracted a sizable following among Salt Lake’s creative community and has become as much a spot to pick up the latest Raf Simons x Adidas sneaker as it is an impetus for people with common interests and aspirations to meet and collaborate. 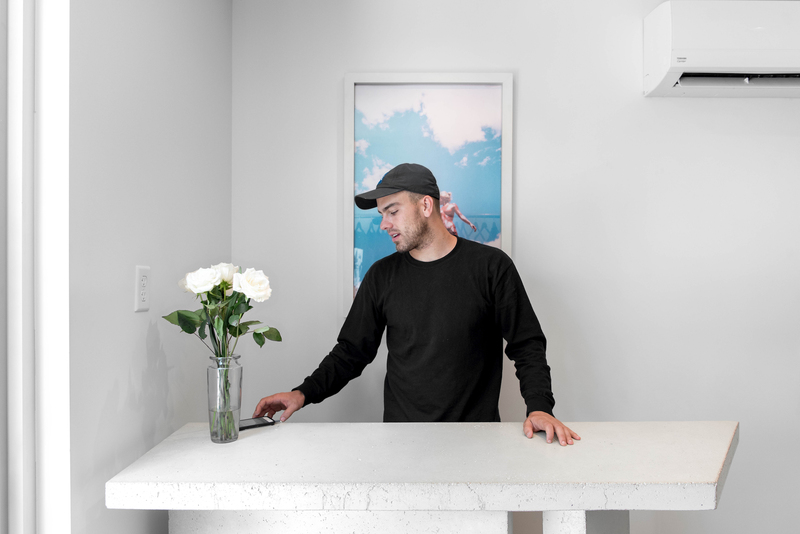 A firm believer that value is largely extracted from interaction, Caleb places substantially more emphasis on connecting with customers than simply just moving merchandise. 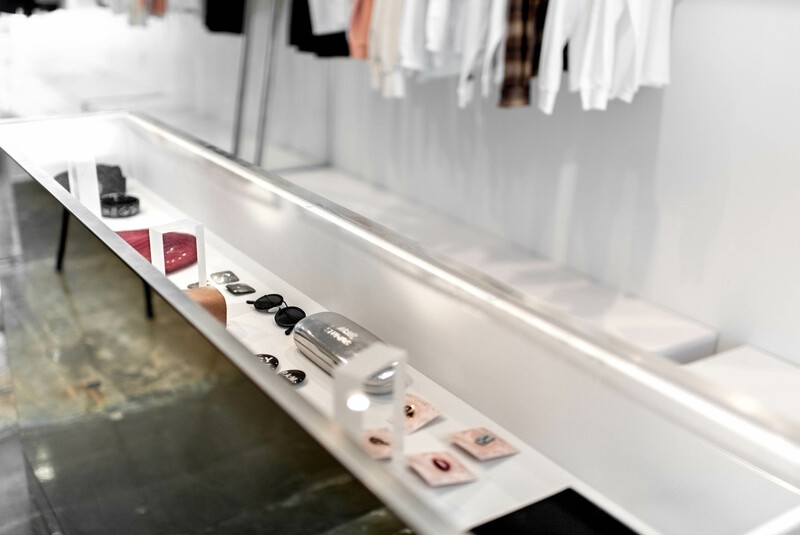 This means that anyone who walks through his door is greeted with a degree of personability that has been perfected over ten years in the retail business, the result of which is an in-store experience that is undisputedly tailored to the individual. Because, for Caleb, as much as customer is king, so too is conversation. In Hathenbruck, the interconnectivity of the two is fully realized. What ultimately convinced you that Salt Lake could sustain and support such a progressive, high-end store when its contemporaries are often found in much larger cities? We have the internet now so everyone has access to this information. You don’t have to go to stores or shows to learn about this stuff anymore. I mean you can, but you can also hop on the internet from your couch in the middle of nowhere Idaho, so I would say that the internet has given everybody access to information on all of these brands and designers so the fact that there wasn’t a store down here meant that it was only a matter of time until one popped up. How do creative communities here in Salt Lake differ (or how are they similar) from other, larger cities that are often looked to as “creative capitals” (i.e. New York and L.A.)? I think [the community] is awesome. I think that people in Salt Lake have to try harder to find this stuff, so it means more to them when they do. I’ve gone to a lot of similar stores in New York and L.A. and even talked to a lot of those store owners, and it’s great--but they have a lot of access to it because there are five stores that are all similar. I think that’s what drives competition. Everyone has to be better at retail, they have to have better style, they have to be more creative...and that’s how Salt Lake gets better as a city. It's all changing and it's nice because people are all supporting each other. There's a lot of excitement with people saying "Oh, you're into this? I’m into this, too." Art and music--and fashion as an extension--appear to be changing with increasing frequency. How do you stay relevant in an industry that is so fleeting? Is it a matter of predicting trends? Or just staying true to what you think is cool? It’s all content, and it’s authentic content. 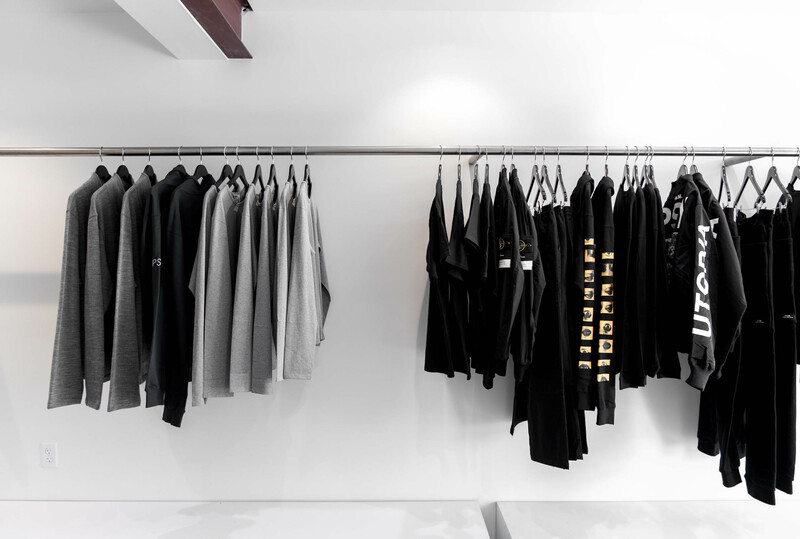 At the end of the day, your store, your clothing design, everything, is an extension of you. This stuff is basically an extension of everything I’m into. I’ve got legos in my shelves that I’ve had since I was a kid. I've got an album we put out on the shelf and a hoodie we made, and all my favorite designers are in one spot. It's personal to me...versus buying what’s on trend or what’s got good margins. What made you choose this location over other spots around the city? Tell everybody a little about 9th & 9th. 9th & 9th is super special. I like how much character has...but it’s a shopping district. There are so many different vendors and merchants here, and that variety...I mean, it’s the spice of life. Whether it's Orchid Dynasty, me, Brass Smoothies, Nono, Great Harvest...whatever it is, there are options. And that’s what people want. Options. There are other places that I like more, aesthetically. Like, I love the idea of being downtown. There's something about brutalist buildings, concrete, a kind of hustle and bustle of downtown--I love that. But, at the end of the day, the [consumer] variety is what is probably most important, I think, for a business.